Does your car need an oil change? Do you want to be in and out of an auto repair shop as quickly as possible, yet not have to worry about the quality of service you obtained? At Mahneke Motors, we provide fast, reliable, and honest auto repair services. When you bring your car in for an oil change, our team will go above and beyond to ensure you leave our shop satisfied and your car leaves our shop in great working order. Inspection of key components, such as brake fluid level, coolant reservoir levels, etc. 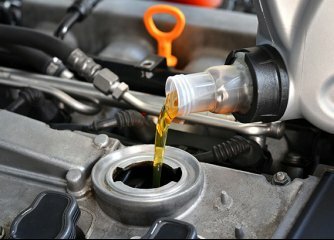 We offer a variety of vehicle oil, such as conventional oil, high mileage oil, synthetic blend oil, and synthetic oil. All our oils are top-of-the-line and are used in our own vehicles, so you can rest assured the oil your car receives from Mahneke Motors is some of the best! If you would like to schedule an oil change, please contact our office at (805) 681-0021.